Meyer lemon season is in full swing here in San Francisco and my colleague gifted me a bag full. 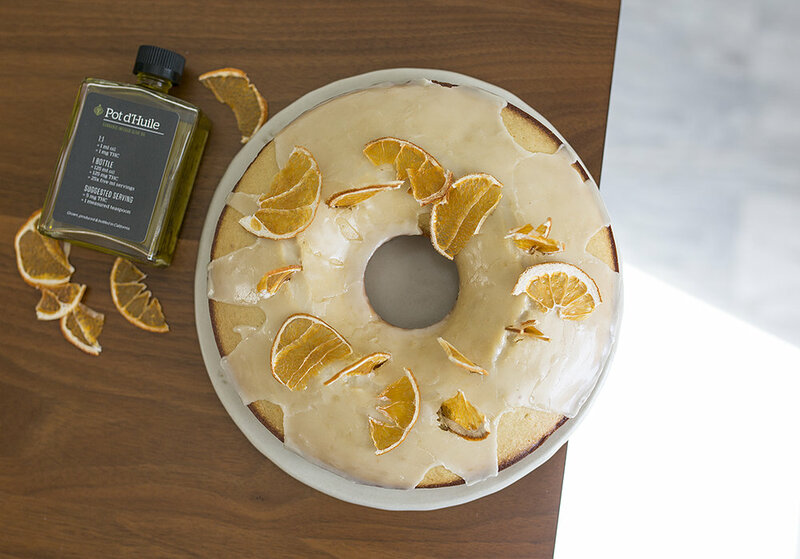 When life hands you lemons, you make lemon olive oil cake to say thank you! I got a couple bottles of delicious medicated olive oil from Pot d'Huile to use for this recipe but you can also easily make your own with this Sous Weed recipe. 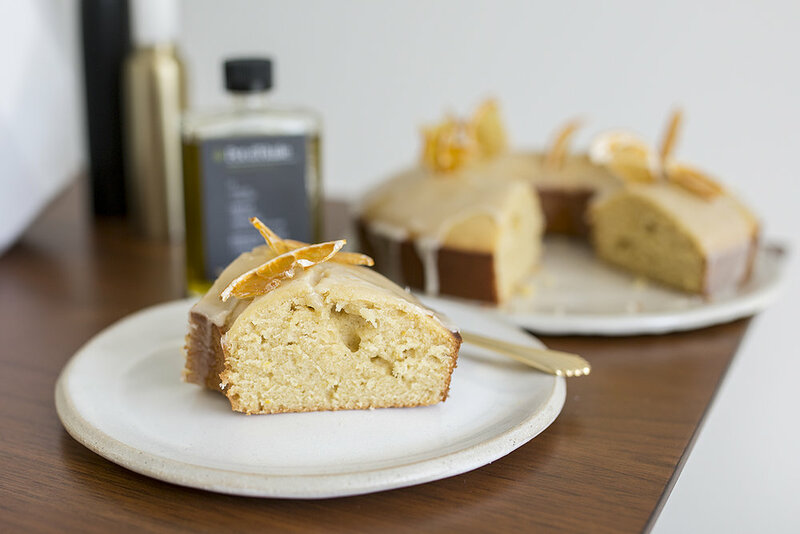 Immediately after this post, I'm kicking back with an iced coffee and a slice of this fragrant lemon olive oil cake and enjoying the rest of my Sunday. Have a good one, all! 1. Grease a 9-inch springform pan or bundt pan and pre-heat oven to 350°F. 2. In large bowl, mix AP flour, baking powder, and salt. 3. In blender, blend sugar, kief-honey, eggs, medicated olive oil, vanilla yogurt, and Meyer lemon zest on low speed until fully blended. 4. Bake for 30 minutes until a golden brown crust forms. Cool the olive oil cake for 10-15 minutes on a cooling rack. 5. In small bowl, add Meyer lemon juice, medicated olive oil and powdered sugar and whisk until the consistency is thick and smooth. 6. After 10-15 mins of cooling, drizzle the cake with the lemon glaze glaze. Garnish with lemon or orange chips or additional zest from the Meyer lemon.